Commercial clients come in all shapes and sizes. We have served the biggest industrial house in town and even the smallest corner restaurant. But what is crucial to understand is that every business has a unique locking and security need. Since no two businesses are same, likewise their lock and key needs are not the same. Village Locksmith Store understands that and every time a new business owner contacts us for updating or setting up security systems at their premises, our commercial locksmith services team takes a good amount of time to analyze and come up with the best possible solution that is unique yet effective. Standard locks were part of almost commercial setup 15-20 years ago and they were enough to protect against threats in the past. But with the modern advancements and the way some of the burglars have updated the way they operate and the tools that they use, the use of standard locks is an open invitation to rogues. Advanced locks and mechanisms are the need of the hour and every commercial setup should have high-security locks installed. Our commercial locksmith services team not just installs new locks but also helps you choose the best lock from a wide range of options. Trusting a stranger with the security of your business may not be the smartest step. A shrewd businessman will never deal with a service that has not done appropriate background checks on its employees especially in case the security of their business, employees and customers are at stake. 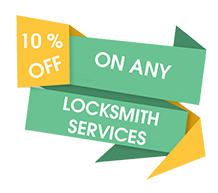 Village Locksmith Store understands this concern and to ensure that our locksmiths are not a threat to the security of your commercial property, we conduct thorough background checks before hiring them. Any sign of any criminal activity in the past makes them ineligible to work with us. We also keep all the information with us confidential and never share any documents or files related to the security locked safely away from public eye. Businesses today are going global and hence, most of the businesses are open 24/7. Due to 24/7 operation, there is a good chance that you may end up facing an occasional lock and key issue and most of the times these issues cannot wait. That is why Village Locksmith Store offers its clients the option to hire a locksmith any time they want. 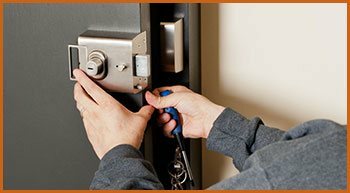 For affordable commercial locksmith, services call us on 214-382-2786.